It’s getting to be that time of year again, already. The kids are back in school and the creepy crawlies and ghosties are making their way back out into the world. Halloween is one of my favorite holidays. The costumes, the candy, the decorations, and scary movies and stories. Halloween is also a great time to be doing some fun Halloween themed fundraisers. Why is Halloween so great for fundraising? Halloween is a casual social holiday, not so much a family oriented one such as Thanksgiving or Christmas. And there are activities for people of all ages. Lots of parties, trick or treating. Halloween is also non-denominational. No worrying about offending any of the religions. A whole month or more of Halloween fundraising. Although Halloween is only one night, the Halloween themed fundraisers can run from mid-September right through Halloween. Everyone loves Halloween. It lets us all act like children, and not be judged badly for it. And there are just so many ideas, from the super scary to the cute and kid themed. Halloween is for everyone. Haunted House – Who doesn’t love a super scary haunted house? Or if you don’t, how about a kid themed haunted house, most cutesy than scary. Cemetery Walk Lantern Tour Fundraiser – Light up your local cemetery and offer Halloween tours. Costume Party – They, too, can be anything from super scary themed to cutesy kids or pets. Pumpkin Chucking – A great way to get the men involved. Who doesn’t want to build a machine to throw pumpkins as far as possible? Guys love this. Especially country guys. Pumpkin Festival – A few hours not enough for your group’s fundraising efforts? Make a day – or a weekend full of fun and fundraising with a Pumpkin Festival. Halloween Costume and Pet Parade – A stand alone event, or one to have during your Halloween costume party, or Pumpkin Festival. Reverse Trick or Treating – Instead of collecting candy, do some reverse trick or treating, and get the word your about your nonprofit. Zombie Dog Walk – Instead of a normal dog walk, add some zombies “chasing” your walkers, some spooks to pop out, gently – don’t scare the dogs, and have your walk route go through as many cemeteries and spooky places as possible. And even have it at twilight instead of in the early morning or afternoon. Or plan it as part of your pumpkin festival. Recycled Halloween Costume Fundraiser – Collect old Halloween costumes all year, and have a sale in mid-September to benefit your animal rescue group. And to help everyone pick the perfect Halloween costume for the current year. Halloween Candy Grams – Sell spooky Candy grams to be delivered by your group on Halloween. Zombie Mini Golf Tournament – Haunt a mini-golf course and raise funds for your nonprofit. Zombie Night Golf Tournament – Instead of mini-golf, hold it on a normal golf course. Witchy Pet Tea Party – Have a costumed tea party for the little ones and their pets. Outhouse/Chariot Race Fundraiser – Build and theme decorate outhouses, chariots, or even lawn mowers and carts, and have a race to raise funds for your group. This is another great way to get those men involved with your Halloween fundraising ideas. Halloween Costume Pub Crawl – This is one of my personal favorites. Have a costumed pub crawl, where everyone dresses up and crawls the pubs in your town. Ending with costume judging and prizes at the witching hour. Road Rally Scavenger Hunt Fundraiser – Send your participants off on a Halloween themed scavenger hunt. Murder Mystery Fundraiser – Who wouldn’t love to help raise funds for your nonprofit by solving a murder? Kiddie Carnivals – A great addition to a costume party or pumpkin festival with Halloween themed games. Reverse Raffle Fundraiser – Another great add on to a costume party, or pumpkin festival. Boardgame tournament fundraiser – Give it a spooky theme, and play mystery games like Clue. Cupcake Wars – Halloween themed cupcakes would be a great addition to any Halloween themed fundraising events that your nonprofit has planned. Minute to Win it Fundraiser – This would be a fun one to turn into a Halloween themed event. 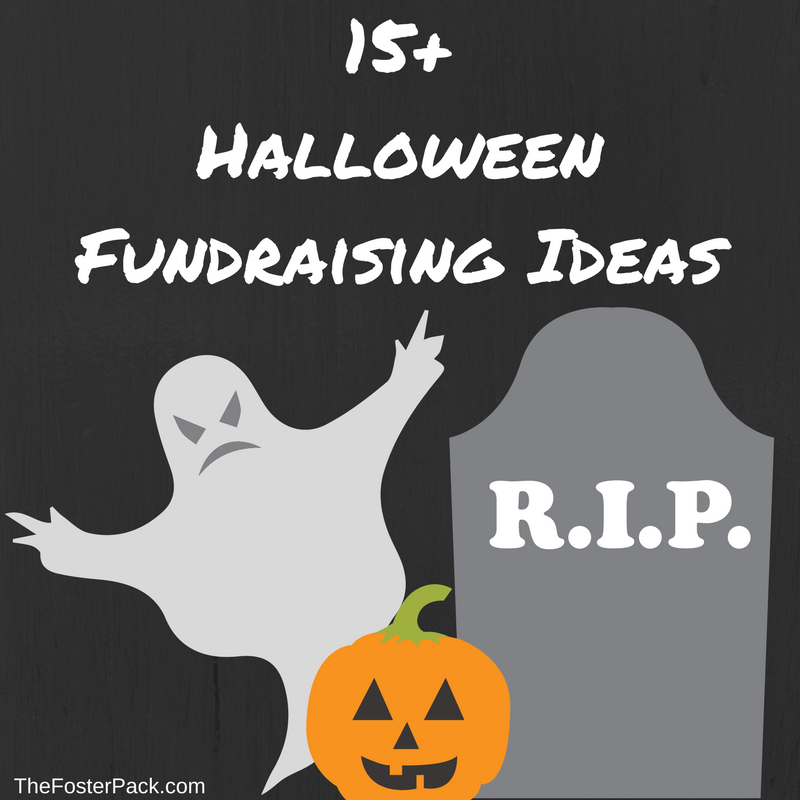 There are lots more Halloween fundraising ideas out there too. What are some of your favorites?